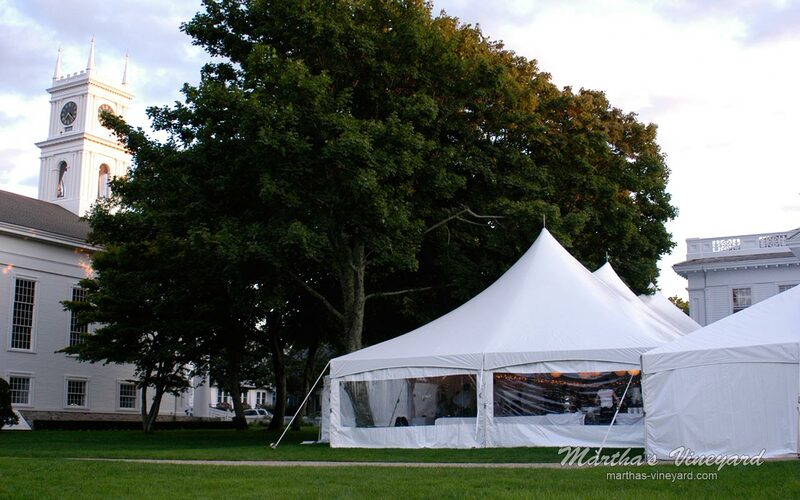 Located on Main Street in Edgartown. Designed by Frederick Baylies, Jr. with a 92-foot clock tower. Built at the height of the whaling industry as a Methodist church. 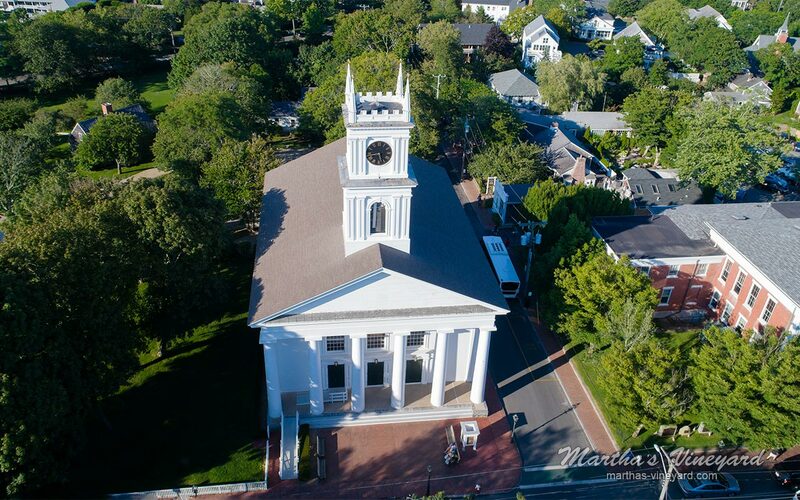 It is a six-columned Greek Revival church. It is now used for events and has a trompe l’oeil mural inside designed by Margot Datz. 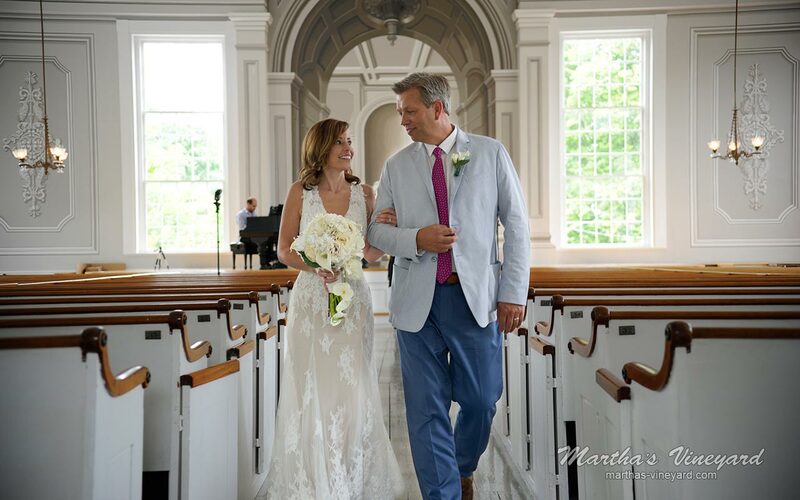 Many people have had their weddings at the church and their receptions right next door at the Dr. Daniel Fisher House.